The Spier Family is once again issuing a challenge grant to Hockomock Area YMCA members, donors, local businesses and partners. For the second straight year, a generous $25,000 matching gift challenge is being offered. The Spiers are matching every donation made July 16 through July 27, 2018 up to $25,000, which will result in an additional $50,000 to provide more kids with a summer camp experience in August. Children and families who face financial challenges are welcomed each day to enjoy a YMCA experience in a place where they are nurtured and where they belong. On average 1,300 kids attend Hockomock Y camps each summer day, including YMCA camps located in Bellingham, Foxboro, Franklin, Mansfield, and North Attleboro. Last year, the Y provided $173,409 in confidential scholarships for summer camp; more than 20% of campers received some form of financial assistance. As the need continues to grow, the generous Spier Challenge gift will provide more opportunities for kids to experience camp this summer. Many family budgets are increasingly strained, placing a hardship on children in area communities, especially during the summer when they may not have access to quality care, active outdoor fun, and healthy meals each day. To learn more and make a gift, visit www.hockymca.org/camp-challenge. Greg and Kathy Spier, long time Foxborough residents, Y members and volunteers, and community leaders, are passionate about improving the quality of life in their community. 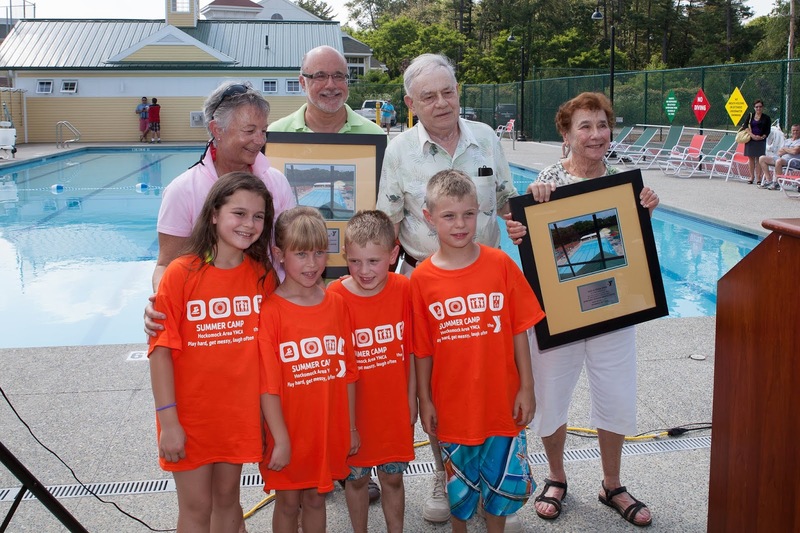 The Spier Family name is prominently displayed on the indoor and outdoor aquatics centers at the Y’s Invensys Foxboro Branch. 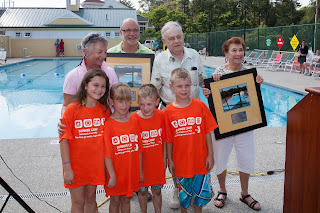 The Spiers are also benefactors of the SPLASH program which has resulted in teaching hundreds of local school children how to be safe around water, learn to swim, and begin enjoying swimming as lifelong recreation. “Our family has always believed in giving back to the community we love and our Mom and Dad modeled the importance of paying it forward. There is something magical about summer camp that every child needs and deserves. Through this challenge, together with our community, we can provide more kids an opportunity to experience their best summer ever at the Hockomock Area YMCA camps,” said Greg Spier. Ed Hurley, President of the Hockomock Area YMCA expressed, “We are so grateful to the Spier Family for their continued commitment and confidence in our YMCA. This donor challenge and the gifts that will result means more children will have the opportunity to experience the magic of summer camp at the Y. Our Y has a proud yet ever-growing history of inclusiveness. Whether it’s a family that cannot afford a Y camping experience for their children or a teenager who struggles with bullying at school, we continually extend our arms, welcoming them into our Y family. We are grateful to be part of 15 communities full of caring, committed people who share the values of youth development, healthy living, and social responsibility,” said Hurley. In 2017, the Hockomock Area YMCA provided $ $2,017,318 in confidential scholarship assistance and program subsidies. To learn more and make a gift, visit www.hockymca.org/camp-challenge.